Our team is backed by people who is in the pharmaceutical for more than 15 years. 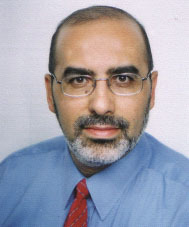 Dr. Amr Yacout has 20 years of experience with both Sandoz Pharmaceutical and Bristol Myers Squibb companies in South East Asia and the Middle East. Dr. Amr Yacout is also the vice chairman of APEX Pharma Egypt. APEX Pharma has excellent potential to thrive in the Egyptian pharmaceutical market. The company is currently in the developing stage and its structure is progressively developing and expending. It is rapidly acquiring agency agreements and products. In the short time it has been operating. The therapeutic field of schizophrenia, antifungal, osteoporosis, bronchial asthma, epilepsy, rheumatoid arthritis, multivitamins, anti-depressant, anti-diabetes, antibiotic and parenteral nutrition. APEX Pharma own promoted brands are enjoying leading positions in their respective therapeutic classes despite this modest number of products in the existing portfolio. APEX Pharma has quickly managed to move to position 28 among 400 companies in Egypt in only eight years (1 MS II 2005). The pipeline contains additional new products currently under registration which will achieve the objective of being among the top ten companies before the end of 2008. The company has also succeeded to become the exclusive agent for Laboratoire Aguettant, a French pharmaceutical company and working on several others with the factory inauguration. Dr. Amr Yacout has 20 years of experience..
A decorated entrepreneur with diversified industry specific experience in the Malaysian and international healthcare scene Shahnas made the daring move from a wage earner to an entrepreneur on 10 February 2006, building Natural Wellness from a small start up in Kuala Lumpur to a company with international presence multiplying company value five times within 8 years. This transformation created an achievement oriented individual with a focused business acumen driven to set and exceed corporate goals coupled with excellent interpersonal relationships and leadership qualities. Proudly, Natural Wellness today stands out as a stellar multi-award winning example of a small company that held fast to unconventional values driving innovation while embarking on sharp growth and learning curves into uncharted territories of healthcare. The collaborative efforts receive the attention and support of the highest of the government and industry echelon. Despite this, Shahnas modestly states that her work has just begun with the formation of The Farrash Foundation and the causes it supports. Shahnas has an enviable resume having undergone executive training in the prestigious University of Cambridge, United Kingdom as well as the University of California, USA, Mission Bay and Berkeley campuses. She read her B. Pharm (Hons) in University Sains Malaysia in 1994 after which she completed her housemanship at the National Pharmaceutical Control Bureau, Ministry of Health Malaysia. Shahnas then obtained her MBA from University of South Australia in 1998 and is trying to work on her thesis to qualify for a doctorate from the University of Newcastle, Australia. Her other intellectual pursuits are through being a student of AL Kauthar and Al Maghrib Institutes and the Islamic University of North America. On a more personal note, Shahnas is a well decorated entrepreneur receiving awards for her achievements both locally and internationally. In September 2011 she was honoured as a Woman Innovator during the APEC Women and the Economy Summit in San Francisco USA for innovative achievements, extraordinary leadership and significant contributions to the economy. More recently Shahnas was invited to share her experience and receive the Global Award for Outstanding Contribution to Quality & Leadership by the World Quality Congress & Awards, held in Mumbai, India in June 2014. She also received the SMI Women Entrepreneur Award 2012 and the Asia Pacific Most Promising Entrepreneur Award 2010 as recognition for her entrepreneurial skills. Besides being a competitive swimmer during her youth, Shahnas has a blue belt in taekwendo and is a PADI certified diver. She is also an accomplished pianist having completed Grade 8 in the examinations of the Associated Board of the Royal Schools of Music when she was 14 years old. Her current interests include reading, in line skating, water sports and charity work. Shahnas has been invited to sit as an Executive Council Member on organizations including Persatuan Siswazah Wanita Malaysia and the Malaysian Organisation of Pharmaceutical Industries as well as among others, the Pharmacy chapter in the Malay Chamber of Commerce. 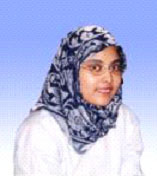 She has also received appointment as a Board of Studies member for the International Islamic University Malaysia’s Master in Industrial Pharmacy programme. She is often featured in numerous publications and invited as a guest speaker to share her expertise and experience. .......a well decorated entrepreneur receiving awards for her achievements both locally and internationally.